Home / Blog / Tickets are on sale for Christmasy Candle-lit Tours of Coffin Fitting Works! 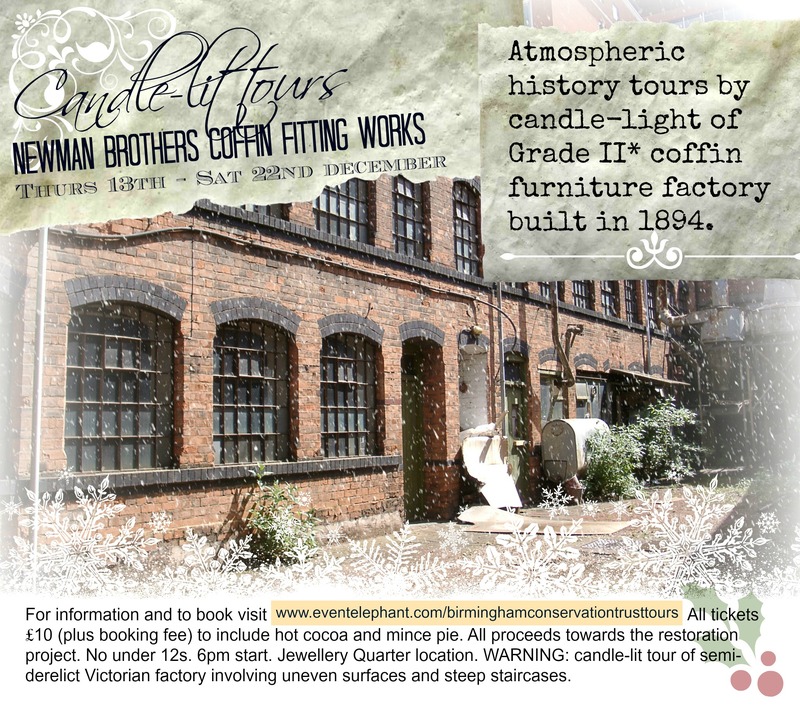 Tickets are on sale for Christmasy Candle-lit Tours of Coffin Fitting Works! Tickets for our Candle-lit tours of the wonderful Newman Brothers (with a Victorian Christmas theme, cup of hot choc and mince pie!) are ON SALE NOW! Over 50 gone in last two days, but we have lots of tours between Wed 12 (extra date) and Sat 22nd – so treat yourself and your loved ones to a really unique experience! !